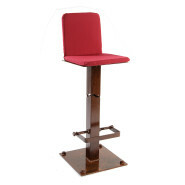 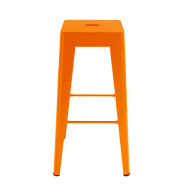 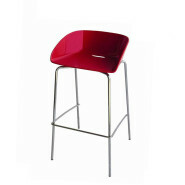 Stool with painted iron frame with wooden, aluminium or padded seat and backrest. Bar stool with iron frame with wooden seat and backrest. 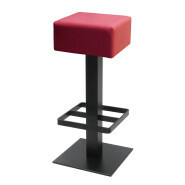 Wooden stool in stained beech. 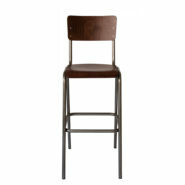 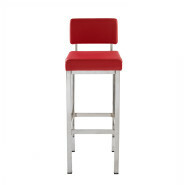 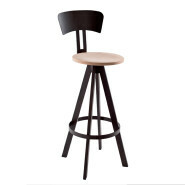 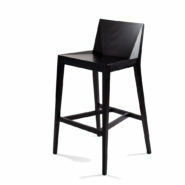 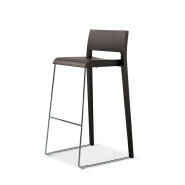 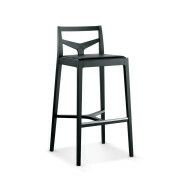 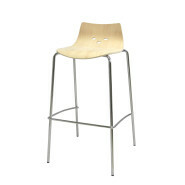 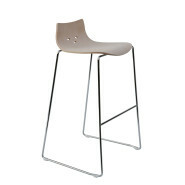 Bar stool with painted iron frame with wooden, aluminium or padded seat and backrest. 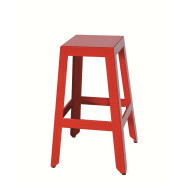 Stool with painted iron frame. 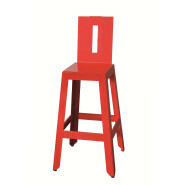 Available with wooden or padded seat. 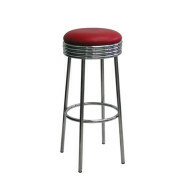 Bar stool with painted iron frame and wooden or padded seat. 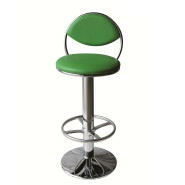 Also available with iron backrest. 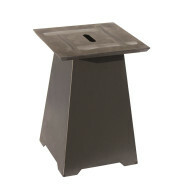 Stool with cast iron base, painted cover and cone-shaped column with trapezoidal threaded rod. 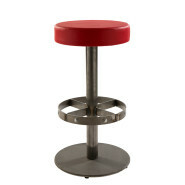 Painted iron stool for restaurant, fast food, coffee bar. 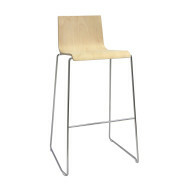 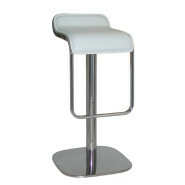 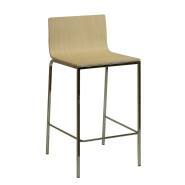 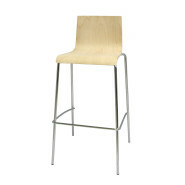 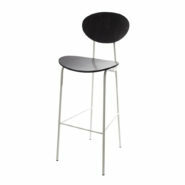 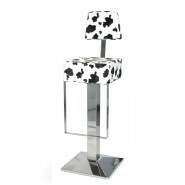 Bar stool with painted or polished aluminium frame. 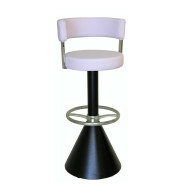 Available with fixed or swivel seat. 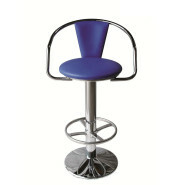 Bar stool without backrest with synthetic leather seat and chromed or painted iron frame. 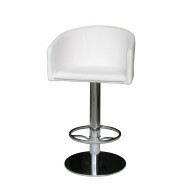 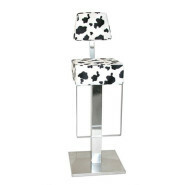 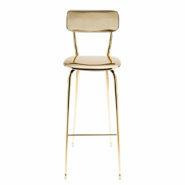 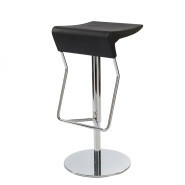 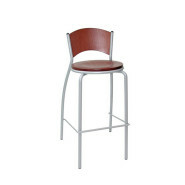 Bar stool with synthetic leather backrest and seat and chromed or painted iron frame. 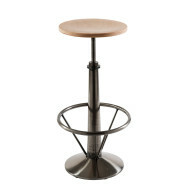 Bar stool with wooden shell and chromed iron wire frame ø11 with footrest. 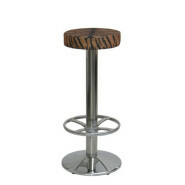 Bar stool with wooden shell and squared chromed iron frame 15x15x2. 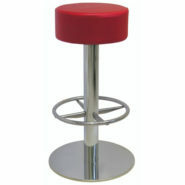 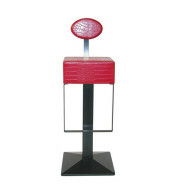 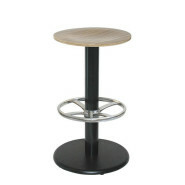 Bar stool with round cast iron base and painted iron tubular column with aluminium footrest. 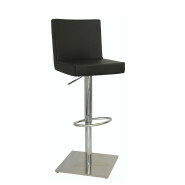 Available with fixed or swivel wooden seat. 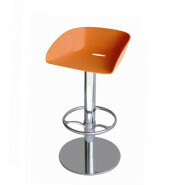 Available with fixed or swivel padded seat. 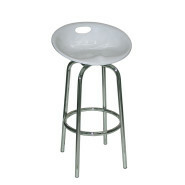 Chromed steel bar stool with padded seat. 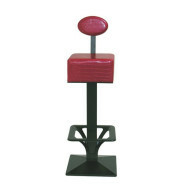 Bar stool with square cast iron base with leg and footrest in painted iron. 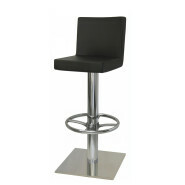 Bar stool with flat square cast iron base with cover, leg and footrest in a bead blast finish. 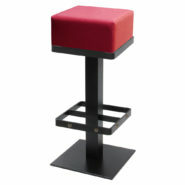 Padded seat. 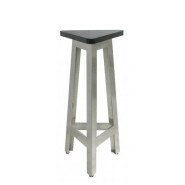 Bar stool with square painted cast iron base and painted iron leg with cast iron footrest. 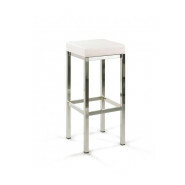 Bar stool with square cast iron base with chromed or stainless steel cover and chromed or stainless steel column with footrest in chromed steel. 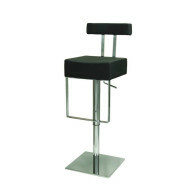 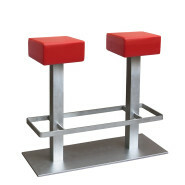 Bar stool with square cast iron base with chromed or stainless steel cover and chromed or stainless steel telescopic tube with footrest in chromed steel. 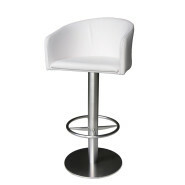 Available with swivel padded seat and synthetic leather backrest. 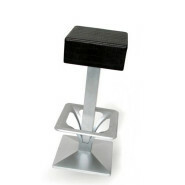 Gas lift. 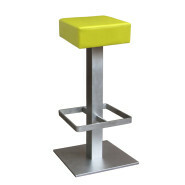 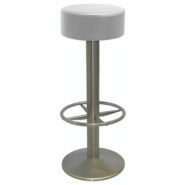 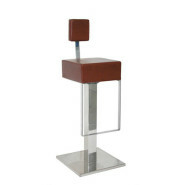 Bar stool with square cast iron base with cover, column and footrest in chromed steel. 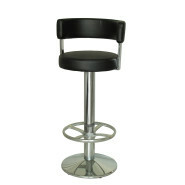 Bar stool with square painted cast iron base with painted iron column and footrest. 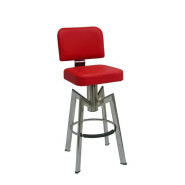 Bar stool with square cast iron base with chromed or stainless steel cover and chromed or stainless steel tube with footrest in chromed steel. 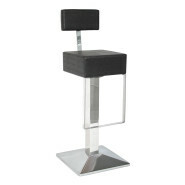 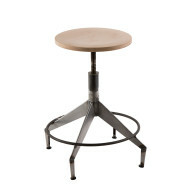 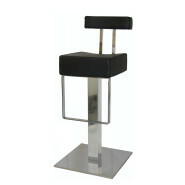 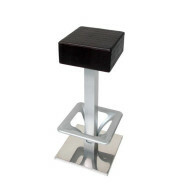 Bar stool with square cast iron base with chromed cover and chromed telescopic tube with steel footrest. 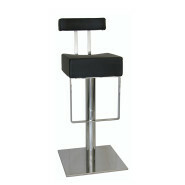 Bar stool with square cast iron base with chromed cover and chromed tubular column with aluminium footrest. 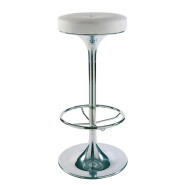 Bar stool with rounded cast iron base with chromed cover and chromed tubular column with chromed steel footrest. 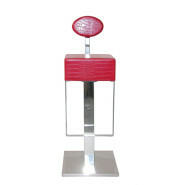 Bar stool with painted iron square base, seat and footrest. 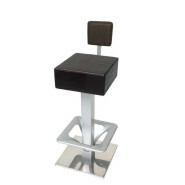 Also available with padded seat. 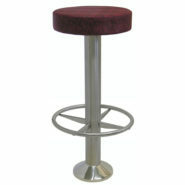 Painted iron bar stool with fixed or swivel padded seat.